These are the systems, software, hardware, and devices we have experience implementing. This is by no means an exclusive list, but these are the most common. Use the filtering parameters to explore devices Affinity Energy has integrated in past projects. Looking for customer success stories? A Wonderware SCADA system allows you to deploy application objects and I/O to different computers through distributed application design. Distributing applications across many machines means operators can more easily balance loads. Higher dispersion also means better data redundancy across the system’s infrastructure, should one machine fail. Because of Wonderware’s history and presence in industries like manufacturing, System Platform has a rich set of modern-style HMI graphics, but can also be configured for situational awareness. The abundance of customizable features also extends to aspects like alarming and history as well. Ultimately, Wonderware System Platform can be tailored based on what the end user wants. You’re looking for something easily scalable (from 500-500,000 points) that will be used by more than one end-user or operator. With object-oriented design methods, Wonderware System Platform supports a database of templates. By using a templated approach, you can standardize and apply across all blocks in the environment. Once you’ve created one object, the rest of the plant becomes easy to scale and recreate…not to mention the reduction of engineering time and lower lifecycle system costs. Weidmuller radios have digital I/O built in, and can function as a Modbus client and/or server. This means you can communicate transparently through the radio with other Modbus devices. 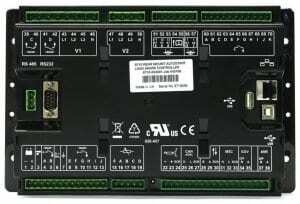 It also has a built-in RS-232 and RS-485 serial port, allowing you to get a wireless connection to serial devices at the same location. Weidmuller also has built in networking features such as managed switch capabilities and routing. Today’s industrial-grade wireless connections are considered reliable and redundant enough to perform in industrial atmospheres. In fact, they have just as much (if not more) security capability and encryption as a wired switch, and their reliability is unparalleled. 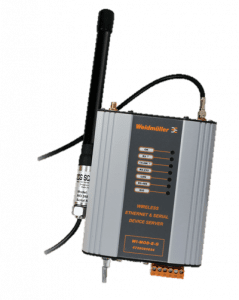 Weidmuller is considered one of the most industrially-hardened wireless radios. You save a lot on labor costs when you aren’t paying for miles of trenches and conduit. Wireless radios also require less planning resources than running hard connections. 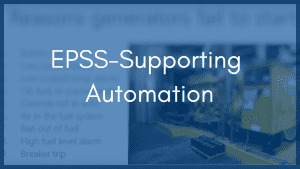 If you use other SCADA solutions, you will probably need separately supported software made by a different company (e.g., Kepserver, Dream Reports, OSI PI). But because Trihedral controls all aspects of their VTScada software (drivers, historian, alarm notification, etc. ), it means nothing else is required for basic implementation. In addition to reduced cost, because they own all aspects of the system, you can get any questions answered or issues resolved with a single call. With VTScada, a small system under 250 points can be up and running on a comprehensive SCADA solution for an investment of less than $5,000. As a matter of fact, Trihedral also offers VTScada LIGHT for systems under 50 points, free of charge. Even if your system requires more than 50 points, VTScada LIGHT is a great way to get your feet wet while experiencing the full functionality of the product. One of VTScada’s greatest strengths is scalability. A lot of major SCADA solutions require all enterprise SCADA solutions to run on the same version and/or same operating system. They are unable to support older generation systems without an entire system upgrade each time a new location is added. VTScada, on the other hand, is backward compatible. This means your 2010 system running on Windows 7, and your 2017 system running Windows 10 can work with one another on an enterprise level. If you plan to build a portfolio of projects with multiple installations, there’s peace of mind knowing you’ll have complete support for older systems with VTScada. If you have limited space and you need a meter with a display, the Veris e50 is about as small as you can get. But it’s not just actual meter dimensions that give them their edge on size. Because it is also a form factor mount, it can attach to any DIN rail, which allows for quick and cost-effective custom submetering panels. Because it can sit inside an enclosure, it takes up even less space in cramped retrofit environments. The Veris e50 has the ability to capture non-electrical utilities like gas, water, and steam. This makes it an ideal meter for energy plants like medical campus central utility plants. Because it has a display, it can act as a local HMI for other meters in the plant. It does this by using a pulse input to connect into different meters and measure their outputs. When integrating Veris meters into existing systems, you have options. The Veris e50 comes with three different protocols, which makes it an obvious choice for retrofit situations. Specifically, it can interface with devices through Modbus, BACnet, and LonWorks. The WXT520 is an all-in-one weather monitoring instrument combining anemometer, rainfall, temperature, humidity, and barometric pressure sensors in one instrument. It talks a protocol called SDI-12. It does have an option that integrates a pyranometer, but it’s a first class pyranometer. It’s less accurate, but can be used as a GHI irradiance measurements. Like most all-in-one instruments, it’s easier to deploy an all-in-one than a combination of sensors, but does cost more, and if any part of the instrument fails, the entire instrument fails. Automating emergency generator testing makes you smarter about maintaining and supporting your EPSS. Automation of emergency generator tests is something we’re seeing a higher demand for in the healthcare industry, and I feel it’s important to discuss. Not only does automating testing and reporting reduce the resources required to conduct tests, it also provides some insights into possible predictive maintenance necessary on emergency power supply systems (EPSS). 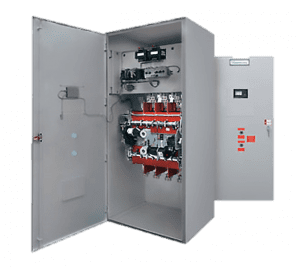 An EPSS is typically composed of one or more generators, along with electrical switchgear and automatic transfer switches that switch between normal and emergency power based on the availability of normal power. Statistics have shown that since 1984, power outages have increased at least 265%. This also means the need for emergency power is on the rise. The problem is, 1 in 5 generators fails to start when called upon! These problems prompted the need for regulated testing. But compliance with the testing standards have introduced new problems for healthcare facilities. Automating that testing can help mitigate those problems and reduce the likelihood your emergency generator will fail to start. Codes and standards are the drivers behind why healthcare facilities are asked or required to perform regular testing of their EPSS. The most relevant code for EPSS testing is the National Fire Protection Agency (NFPA) 110, which is the Standard for Emergency and Standby Power Systems. Compliance standards are enforced by different agencies like the Joint Commission (Joint Commission for the Accreditation of Healthcare Organizations), and other authorities having jurisdiction (AHJs) like state and local agencies. 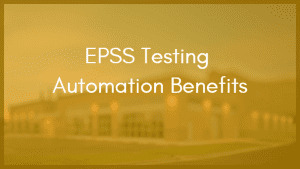 The type of testing and automation required for your environment totally depends on your EPSS level, distinguished by NFPA. Level 1 is an EPSS whose failure could result in a loss of life or serious injury, while Level 2 covers other systems whose failure may not be critical to human life or safety. In our experience, customers with Level 1 requirements have the greatest value benefit from an automated testing and reporting system. Tests include generators and automatic transfer switches (ATS), and must be done on a regular basis: At least 12 times per year, no sooner than 20 days and no more than 40 days between tests. There must be a written record of any test, inspection, and performance: In fact, in NFPA 110 recommended procedure, it mentions records nine separate times. Manual or automatic EPSS testing? Manual recording can present accuracy and timing challenges. We’re finding as systems become more complicated, as fewer resources are available to conduct tests, and with more requirements during tests, facility managers are looking for automation. Not only to more accurately record the test, but to also have a way to validate the results in a timely manner. 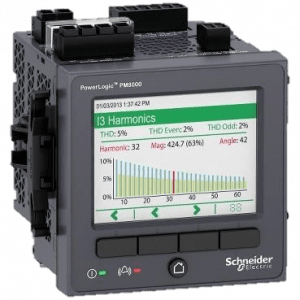 One solution we recommend to many critical power customers in the healthcare industry is Schneider Electric’s Power Monitoring Expert, specifically the generator performance module. This particular module, when combined with a Schneider Electric Electrical Power Management System (EPMS) allows the recording of EPSS tests automatically. All documentation required for compliance reporting is automatically generated, and can be saved or emailed to the appropriate locations within your organization. How do I set up an automated testing and reporting system? Implementation requires the installation of submetering at both the emergency generator and ATS. What’s required to run a generator test report? There are four ways a test can be initiated. At the ATS. There’s a test initiation button that sends a signal to the generator. At the generator. Using the run contact or run input on the generator. Through software. 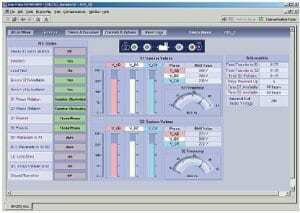 Using the generator performance module incorporated into the Schneider Electric Power Monitoring Expert software to initiate tests remotely. During a real-life power condition. This is an often-overlooked methodology for generator testing. If you undergo a loss of power and the generator meets NFPA qualifications (30% of nameplate, in between 20 days and 40 days) then that particular instance can qualify as a performance test for your generator. The generator performance module automatically records the event, validates that test, and alerts you that one of your required tests is now covered. Reports are built in to the generator performance module, and supply all the necessary information you’d need to turn over to your AHJ in an organized manner. Reports are automatically saved, can be emailed to appropriate personnel, and can also be brought up for inspection during an AHJ audit. All reports provide you with a pass/fail indication and graphical display to show at which level the generator ran. Reports show interval data, min/max/average values, and phase current, voltage, and apparent power. 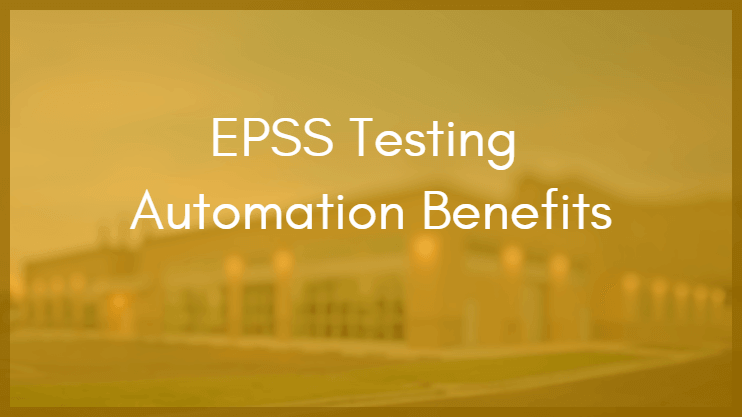 One of the primary reasons for having an automated means to conduct tests and reports is so you can incorporate other diagnostics that help mitigate the potential failure of any portion of your EPSS system. Anything monitored through submeter inputs is automatically recorded and timestamped. You always have access to a sequence of events that shows you, down to the tenth of a second, what’s happening in your EPSS. These details can be especially helpful when root causing or troubleshooting events. It’s not just about saving time and lessening the workload of maintenance personnel. Having all that valuable information recorded in the background also makes you smarter about maintaining and supporting your EPSS. The generator performance module serves as a diagnostic tool for increasing longevity and performance of your generator. It can help identify premature failure or potential maintenance that should occur on the generator ahead of scheduled maintenance. Interested in learning more about Schneider Electric’s Power Monitoring Expert for generator testing? Affinity Energy is a certified Schneider Electric EcoXpert for critical power customers (what is an EcoXpert? ), and we’re ready to help any healthcare facility with their automated EPSS testing and reporting! An upgrade to SR745, the T35 is a transformer protection relay typically seen in larger power transformers at industrial facilities and distribution substations that stepdown power. This is part of GE’s universal relay family. 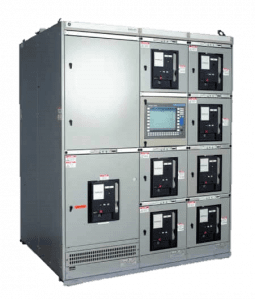 The SR745 is a transformer protection relay typically seen in larger power transformers at industrial facilities and distribution substations that stepdown power. For mission-critical applications such as renewables and manufacturing, gaps in data are often intolerable. That’s why this meter’s onboard data logging is a huge differentiator. The Shark 200 meter stores data locally, which means even if you lose connection to the meter, you won’t lose your data. 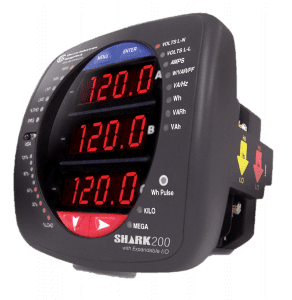 The Shark 200 meter has a seven-segment display. Although it may seem old fashioned compared to bright, backlit LED screens, there’s a reason seven-segment displays are still used. LCD displays have issues such as a glare when viewing outside in sunlight or well-lit areas, and problems with screen fade due to excessive sunlight. A seven-segment display has easy-to-read red numerical digits that don’t fade, and are easy to read across long distances. Do you need to monitor other information such as switch or circuit breaker position or transformer alarm? Maybe you want to send a curtailment signal based on exceeding a pre-defined power demand setting. Simplify your application and reduce both hardware and installation costs by using the expandable I/O capability of the Shark 200 meter. 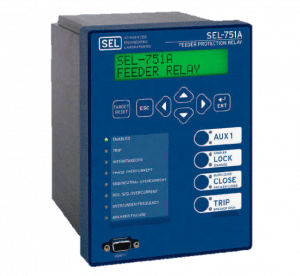 The SEL-751 A is a device for feeder protection for industrial utility applications. It uses Modbus, DNP, IEC, as well as other open protocols. 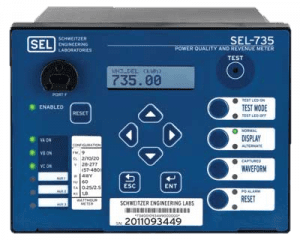 The SEL-735 is a revenue grade power quality meter that supports Modbus, DNP, and IEC protocols. 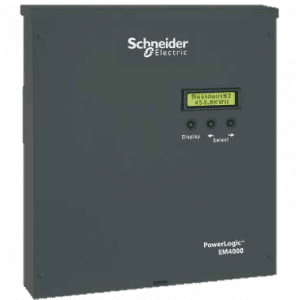 It’s a good meter we see a lot in utility-scale solar applications, in utility substations, and on income switchgear at industrial facilities. 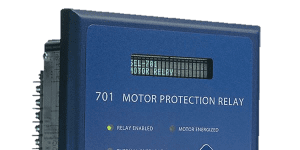 SEL-701 is a motor protection relay. We often find the SEL-701 in more industrial applications, and some utility applications at power plants. 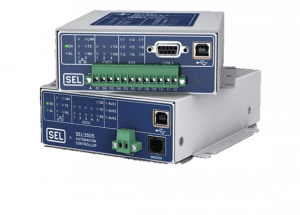 The SEL-701 supports Modbus communications. The 700G is a generator protection relay mostly used in emergency power supply system applications. This device supports Modbus and DNP communications, as well as other open protocols. This is the most common recloser used for distribution-connected PV solar sites. Everything it does, it does well. It’s fast responding protection equipment and integrates well with monitoring systems. It also supports all traditional solar monitoring protocols (Modbus, DNP3, IEC 61950, GOOSE). Similar to 501, the SEL 551 also provides a recloser relay, mostly for utility applications. It uses Modbus and IEC protocols. 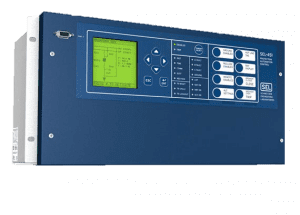 Real time automation controller, also known as RTAC, is popular in substation applications and industrial control applications. 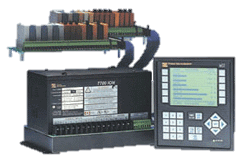 It provides similar capabilities as a programmable logic controller. It acts as a data concentrator, and/or RTU (remote terminal unit). The SEL RTAC also has the option to develop HMI screens for smaller substation applications. The SEL-501 is an overcurrent protection relay, often referred to as a universal overcurrent relay. This device can protect two circuits in one relay and it supports Modbus communications. Most common recloser used for transmission-connected PV solar sites. Everything it does, it does well. It’s fast responding protection equipment and integrates well with monitoring systems. It also supports all traditional solar monitoring protocols (Modbus, DNP3, IEC 61950, GOOSE). 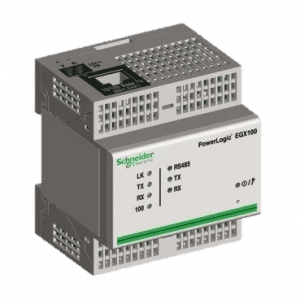 PowerLogic was a previous generation EPMS solution offered by Schneider Electric. Affinity Energy is experienced in upgrading older PowerLogic devices as well as PowerLogic software to the current generation (Power Monitoring Expert). The ION 8650 is a revenue-grade power quality meter ideal for socket/switchboard submetering applications. 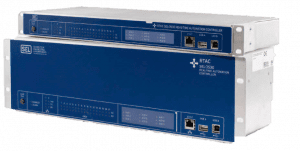 In addition to its high power quality capabilities and high accuracy measurements, the ION 8650 provides flexible and secure data communications using DNP 3.0, Modbus, and IEC 61850 communications. Affinity Energy has integrated the RPTCS transfer switch control system using Modbus RTU and Modbus TCP for healthcare and data center applications. Information we’ve integrated includes operational status, system parameters, power summary, and control settings. 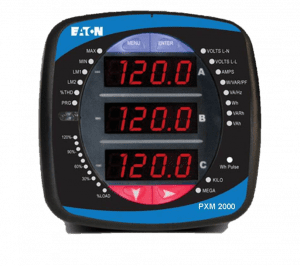 The PX4000, 60000, and 8000 are high end power quality meters. They can do sag, swell, transient, flicker, and time synchronization. These meters have built in web pages and can act like a gateway to downstream devices. 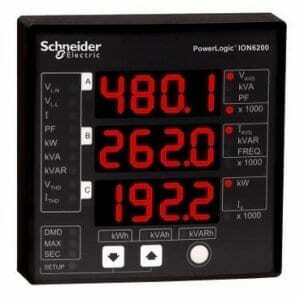 The PX2000 is a midrange power and energy meter with basic power quality. It supports serial and ethernet TCP protocols, and even has a built-in webpage. 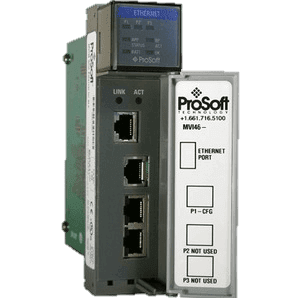 The Prosoft MV46 is a multi-client network interface that allows Allen-Bradley SLC processors to interface easily with multiple Modbus TCP/IP server compatible instruments and devices. It has support for the storage and transfer of up to 5,000 data points to and from the SLC processor. The PowerScout 3037 is a cost effective basic power and energy submeter with a very small footprint. It can typically fit within most electrical distribution panels, which makes it ideal for submetering the main power on a distribution panel. 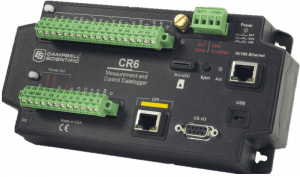 The PowerScout 3037 supports both BACnet and Modbus protocols, and can work with standard split core CTs and rope CTs, making it a very versatile solution for basic power and energy submetering. Just like a Modbus Master INCOM Network Translator (mMINT), Power Xpert Gateway can talk to older Digitrip units. 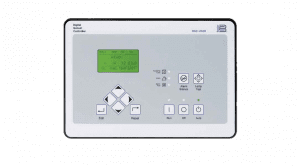 It can also talk to older legacy Cutler Hammer digital meters such as the IQ Analyzer and iQ Data Plus II using Product Operated Network Interface (PONI). 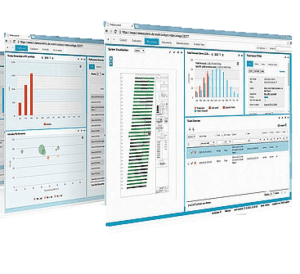 Power Monitoring Expert (previously ION enterprise) is a cost effective and comprehensive EPMS solution that supports mission critical power applications such as hospitals, data centers, airports, and manufacturing. 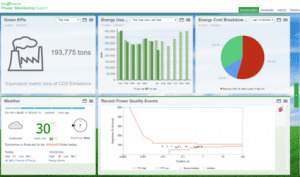 Power Monitoring Expert is not only for Schneider Electric products, but there is also a large library of third party, pre-developed device templates such as GE and Eaton. 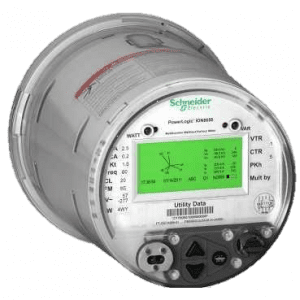 These midrange meters for monitoring feeders or critical loads in electrical systems are all previous generation Schneider Electric meters and not available anymore. 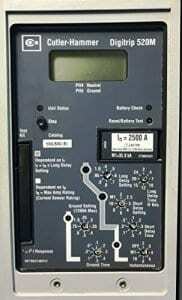 They’ve since been replaced by newer meters like the PM5000 and PM8000. 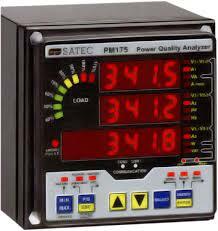 SATEC is a specialty power quality meter manufacturer. 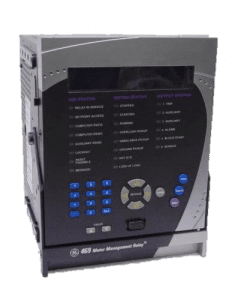 We have integrated the PM174 on data center systems where the owner wanted access to advanced power quality without the need for proprietary and expensive power quality software. SATEC offers free software downloads from their website. 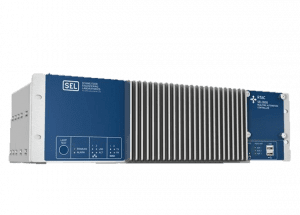 The OrionLX RTU is comparable to an SEL RTAC. 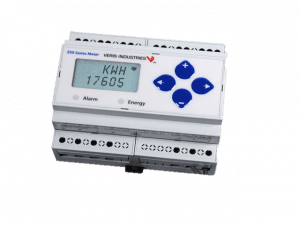 It works best as a data concentrator for centralizing substation data from relay protection, cap bank controllers, meters, etc. It’s lower cost than the RTAC, easy to program and configure. It supports all the substation protocols (Modbus, DNP3, IEC 61950, GOOSE). The Johnson Controls network automation engine (NAE) is a common network area controller. 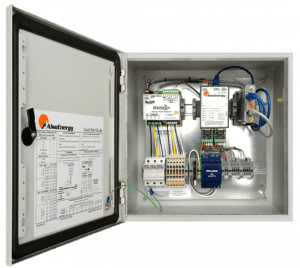 Affinity Energy has integrated information from Johnson Controls Metasys building automation systems that have NAEs as part of their system architecture into SCADA systems, especially at hospitals and airports. We typically communicate BACnet IP to Johnson Controls and NAE. The MVT is the unenhanced version of the EMVT. This protective device is typically found in older GE low voltage switchgear. It has basic protection and metering, and is found in much smaller breakers and switchboards. It communicates using GE proprietary commnet protocol and requires a GE Modbus Concentrator to integrate to a SCADA system. The MGate is one of Affinity Energy’s go to communications devices for high performance conversion of Modbus RTU to Modbus TCP networks. The 2 and 4-port version provide significant cost-affected scalability, because they save you from buying multiple MB3180’s. If your application only requires a single serial port, such as that provided by the MB3180, consider the MB3170. 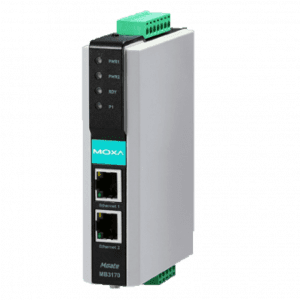 If your application has 1 or 2 ports, the MGate is one of Affinity Energy’s go to communications devices for high performance conversion of Modbus RTU to Modbus TCP networks. 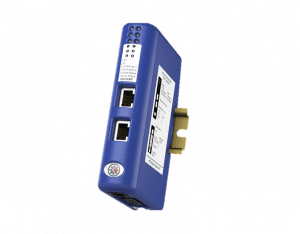 When compared to the MB3180, it has a few different features, such as redundant power supplies and multiple ethernet ports for ethernet cascading. Moxa switches are fairly low cost, and have a good temperature rating. The 2 series is considered light commercial. The 3 series has better thermal ratings for industrial applications. 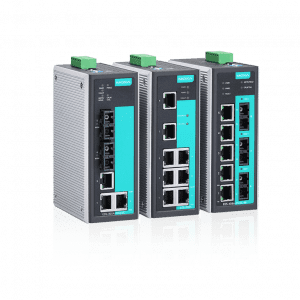 The 4 series is a managed switch with intelligence that can integrate with SCADA, talking ethernet IP, Profinet, or Modbus. The 5 series and higher are managed switches with good variety of capabilities to support POE, and fiber at 10/100/1GB speeds. 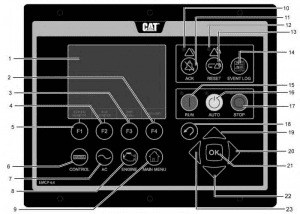 The CDL (Caterpillar Data Link) is a protocol converter that allows integration of older Caterpillar generators using EMCP II control panels. 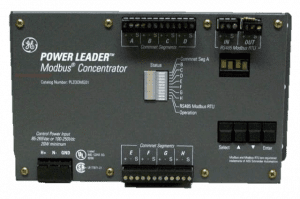 Modbus Concentrator is a protocol translator that converts the GE commnet protocol to Modbus RTU open protocol. It’s typically found in GE AKD switchgear or Spectra Series switchboards. It allows the integration of Microversa trip units. 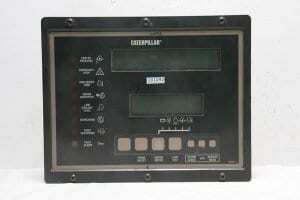 The Modbus concentrator has since been obsoleted by GE. 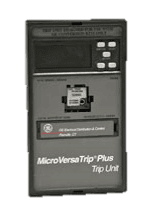 If you have switchgear with a failed Modbus concentrator, the recommended solution is to replace the trip unit with AC-PRO trip unit. It can be retrofit to the GE switchgear and it has Modbus communications. 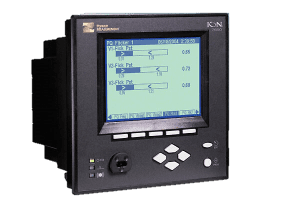 The PQM and PQM II are higher end power quality meters that include waveform capture and harmonic spectrum monitoring capability. They provide the ability to measure and categorize voltage disturbances, such as sags and swells. The ML735 and ML750 (also known as multilin), and the MIFII are older generation feeder protection relays. 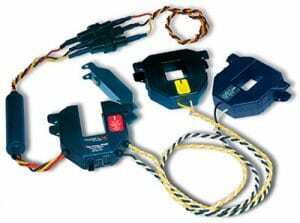 They are found in switchgear on the feeder breakers for both low and medium voltage applications. 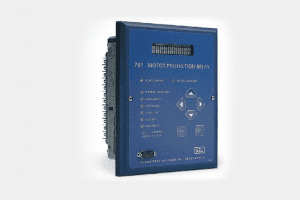 The ML489 (multilin) is the previous generation generator protection relay. It’s used in emergency power supply systems to provide electrical protection to the generator system. The Multilin 469 was a very popular motor management relay that Affinity Energy integrated in industrial facilities with expensive motors. In addition to monitoring all the electrical parameters like voltage, current, and power, the ML469 can monitor things like bearing temperatures and vibration. The iQ series are small form factor PLCs with big PLC capabilities. They’re modular with all the types of I/O one would need (digitals, analogs, temperature interfaces, communications, etc.) and provide an adequate temperature rating. They work well with Mitsubishi equipment. With fantastic backward compatibility and legacy support, you’ll always have a clear migration path. Software is always well tested and upgraded to support new hardware features and additional processor memory. Do you have a machine that was designed to stand alone, but may need to share information to the outside world? MicroLogix are designed to be installed on the machine, where vibration and temperature variations can be more intense than the climate controlled spaces control cabinets are often installed. In addition, a global network of distributors and sales support help initiate discussions with OEMs to integrate Allen-Bradley processors in any equipment you plan to purchase. MicroLogix was designed to control a single aspect of a machine, and was never designed to be the master of any other process. 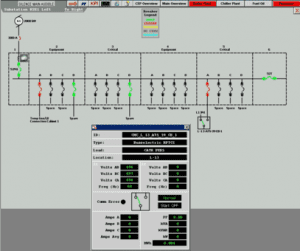 MicroLogix PLCs report back to supervisory control PLCs, such as CompactLogix and ControlLogix. 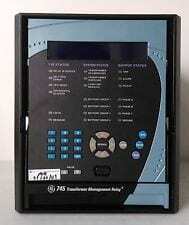 They also work well for standalone processes where basic HMI can be installed on the machine. The Micrologic trip unit is a common trip unit found in Schneider Electric low voltage switchgear. Using Modbus communications, Affinity Energy has integrated basic as well as more complex trip units that include harmonics and power quality. We are also familiar with integrating the Modbus cradle communication module (CCM). If a CCM is used in conjunction with the micrologic trip unit, it will provide breaker position (racked in, racked out, or test). Meteocontrol is a monitoring system targeted at solar sites with less than 5MW. In Affinity Energy’s opinion, it’s not particularly good at doing plant control because it doesn’t have a controller in the system. Plant control would be considered an add-on to the system. A modestly low-cost solution, it has a cloud app for monitoring data and its own I/O devices that go in the enclosures. It is comparable to Locus Energy, Draker, and AlsoEnergy, however Meteocontrol is primarily European, so it can be difficult to reach tech support at times. 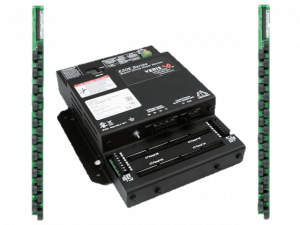 The M340 is a highly flexible compact and expandable PLC platform and overall mid-range workhorse. 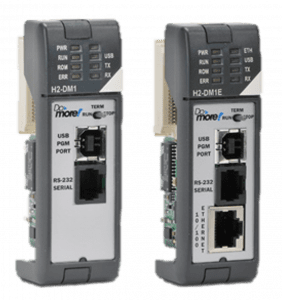 It supports multiple open protocols such as Ethernet, Modbus, and CANopen. 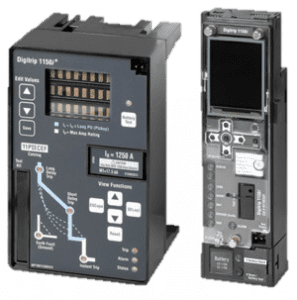 It can be used as both a PLC and remote terminal unit in electric utility applications since it supports DNP capabilities. 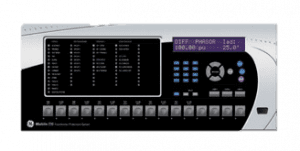 It can also be used as a distributed I/O device if you don’t want to do controls but pick up discrete or analog signals, and can be used as a remote I/O platform when connected to higher end Quantum PLCs. 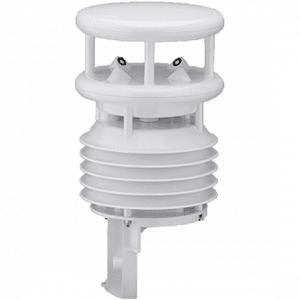 The WS500 is an all-in-one weather monitoring instrument combining anemometer, rainfall, temperature, humidity, and barometric pressure sensors in one instrument. It talks a protocol called SDI-12. It does have an option that integrates a pyranometer, but it’s a first class pyranometer. It’s less accurate, but can be used as a GHI irradiance measurements. Like most all-in-one instruments, it’s easier to deploy an all-in-one than a combination of sensors, but does cost more, and if any part of the instrument fails, the entire instrument fails. When compared to the Vaisala WXT520, the Lufft WS500 is a little easier to implement. 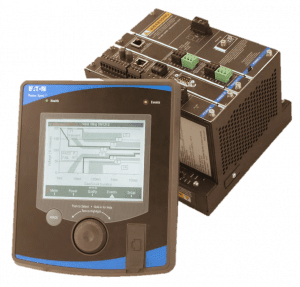 KEPserver and TOP Server are both software Affinity Energy uses as its OPC (OLE for process control) or SuiteLink server in many of the Wonderware-based SCADA systems its engineers have designed. TOP Server is simply a rebranded KEPserver software by Software Toolbox with a few add on modules. The ION 7700 is two generations old, originally a 90’s meter. It’s a good meter, but due to its age and lack of parts, it’s difficult to repair when it fails. In addition, it can only be integrated into an ION system. Generally, if we come across an ION 7700, we recommend an upgrade. Technically we can integrate it, but the cost of integration merits a discussion of upgrading to one of its replacements (ION 7550 or ION 7650). 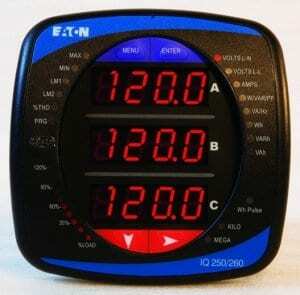 The ION 7550 and 7650 are high end power quality meters. 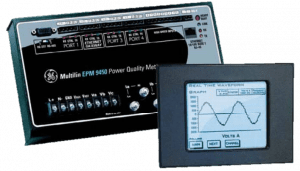 We recommend these meters when you need access to sags, swells, transients, and the harmonic spectrum. 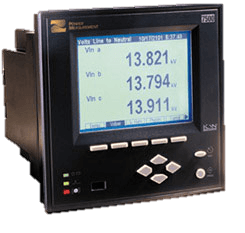 One of the distinguishing features of this meter is disturbance direction detection, which provides an indication of whether a power quality event was initiated upstream or downstream of the meter. With higher-end fidelity, the 7650 captures a higher waveform resolution. Its granularity within cycles is much greater than its sister meter. The ION 7600 and 7500 have been replaced by the ION 7550 and 7650. 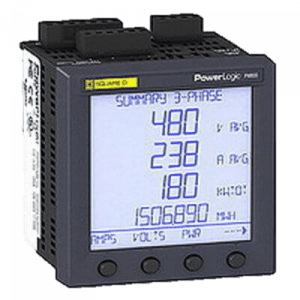 The 7350 and 7330 are mid-range power quality meters no longer available today. They’re commonly found in low voltage substations metering branch circuit feeders. 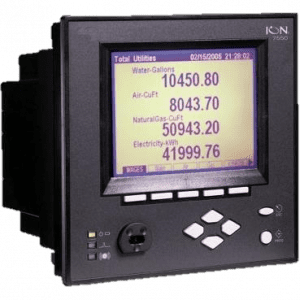 The ION 6200 is a basic power meter used to meter branch circuit feeders in low voltage substations that don’t require high end power quality. 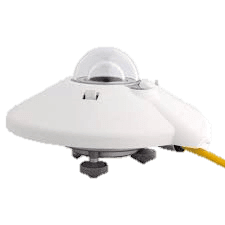 The SR20 is a high performing secondary standard pyranometer used for irradiance measurement at solar sites. 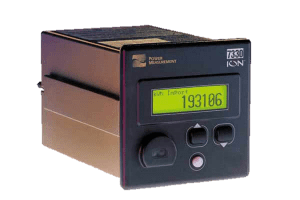 It’s comparable to the Kipp & Zonen CPMP 11, but it’s a lower price point and tests indicates it is more accurate, particularly in low irradiance conditions. 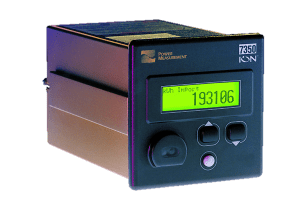 Traditionally, the instruments provide a millivolt signal and are best used in conjunction with something like a Campbell Scientific datalogger. The HMS Anybus offers a converter that integrates the two worlds of PROFIBUS and ethernet IP protocols, which are otherwise incompatible. Anybus is a bit different from a gateway in that a gateway is generally synchronous. However, Anybus is an asynchronous gateway that pulls information continuously. It has updated information all the time and responds more quickly to requesting devices. 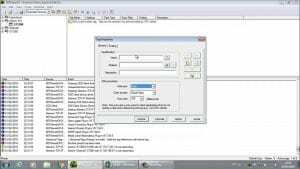 Affinity Energy commonly uses Anybus to get Modbus data into an Allen Bradley PLC via eIP. GE meters, like the GE PQM II, have been around forever (almost). Their form factor may seem unusual, but there’s a reason they haven’t changed in so long. They’re great, reliable meters. 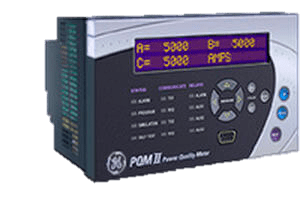 In fact, the GE PQM II has a worldwide 10-year warranty. If you have a water meter, BTU meter, or other utility resource you want to collect information from, the PQM II meter can collect and store information locally. 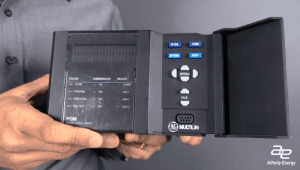 Using optional onboard inputs, it has the ability to interface or connect to other types of pulse-type utility meters, and store usage information for later extraction and analysis. Additionally, if configured with the –C option, you can send a control signal to a curtailment system based on high usage scenarios. If you don’t want to invest in expensive software, this is the meter for you. GE offers free software downloadable from their website for meter waveform capture and sequence of events. Using the free software, you can download the data which has been stored in onboard logging. GE’s name is synonymous with the electrical grid. They’re a power and energy company, which means their solutions are developed with that industry in mind. If you need a solution that understands electrical power, transmission, and distribution, GE is the right solution for you. Certain industries, such as food, beverage, and industrial, require a paper trail to show changes made to the SCADA solution. Cimplicity was one of the first companies to incorporate change management into a SCADA and PLC platform. If you require adherence to strict change management standards for version control and regulatory compliance, GE Cimplicity is a great option. If you’ve already specified GE PLCs, integrating with GE Cimplicity will save a lot of development time. Integration between GE products is tightly woven together, which means their products are more efficient talking with each other than through other solutions. For example, Cimplicity’s driver is more efficient when communicating directly to GE PLCs than through KEPServer or Matrikon OPCs. FactoryTalk View Site Edition is a SCADA system that collects data from multiple sources on the network and supports client server viewing of process information. It does away with the traditional SCADA paradigm of having a tag database. Instead, FactoryTalk Directory allows the HMI to browse the namespace of Allen-Bradley PLCs on the network. Because those points are already defined in the control system, they don’t need to be redefined in a tag list in the HMI. No tag definition means no tag licensing. Instead, FactoryTalk View is licensed based on the number of displays. FactoryTalk View SE works best when used with Allen-Bradley equipment. FactoryTalk View Machine Edition tends to be a more dedicated HMI on a piece of equipment and usually only talks to one PLC. It’s the high-end version of a traditional Allen-Bradley Panel View. FactoryTalk View is licensed based on the number of displays. FactoryTalk View ME works best when used with Allen-Bradley equipment. The F35 and F60 are current generation feeder protection relays. The F35 replaced the ML735, and the F60 replaced the ML750/ML760. They are part of the GE universal relay family. These are GE’s most advanced high-end power quality meters. They are manufactured by Electro Industries and rebranded by GE. In addition to basic waveform capture and harmonics, they have transient and advanced power quality capabilities, like flicker detection. The EPM 7000, 6000, and 2200 are all GE mid-range, multi-function, power and energy meters. They are manufactured by Electro Industries and rebranded by GE. Affinity Energy has an extensive history integrating GE electrical distribution and control products. 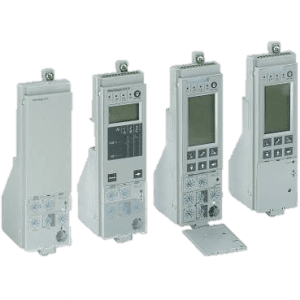 We have a long history with GE that has allowed us to build up an expertise integrating a lot of not only meters, but protective devices as well. 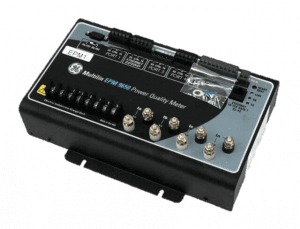 The EPM9450 is a higher end power quality meter that includes waveform capture and harmonic spectrum monitoring capability. It provides the ability to measure and categorize voltage disturbances, such as sags and swells. This meter is made by Electro Industries and rebranded by GE. 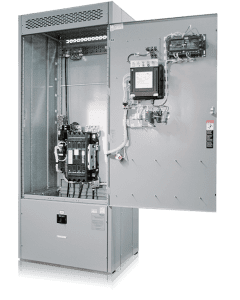 Entellisys switchgear is low voltage electrical switchgear primarily found in mission critical power applications such as hospitals and data centers. Entellisys was one of the first to remove breaker intelligence from the trip unit and put into a redundant central processing unit in the switchgear. This allowed for a significant reduction in arc flash risk. 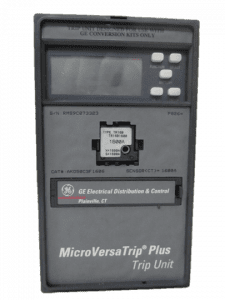 EnerVista Viewpoint is proprietary metering software GE developed to provide a quick and easy way to manage and view GE electrical devices, such as protective relays and meters. 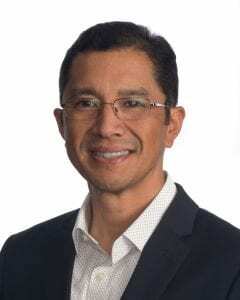 Affinity Energy has used EnerVista Viewpoint in conjunction with SCADA software to allow the owner a low cost method for viewing information, such as sequence of events and waveforms, from power quality meters and protective relays. The Enercept meter is actually built into a current transformer (CT). 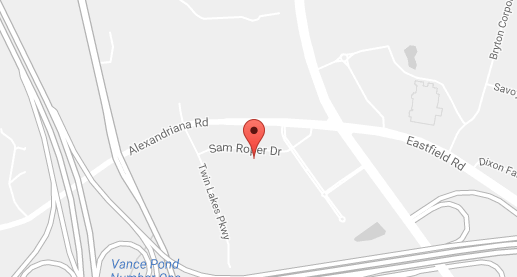 We commonly integrate this meter at data centers, solar farms, and industrial facilities. It’s a good solution when considering ease of installation because you don’t have to cut any holes or mount any CT shorting terminals. However, safety is a key concern with this meter. To work on this meter, it typically requires a shutdown because you must access the electrical equipment. From a supportability standpoint, if you have an issue with this meter OSHA regulations make it a challenge to maintain. To avoid these problems, and still integrate a great meter with simple installation, check out the EM4300. 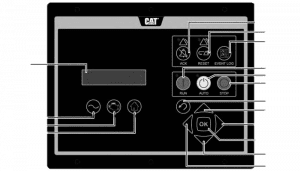 Affinity Energy has experience with all three of Caterpillar’s Electronic Modular Control Panel (EMCP) generations, including II, 3.x, and 4.x. 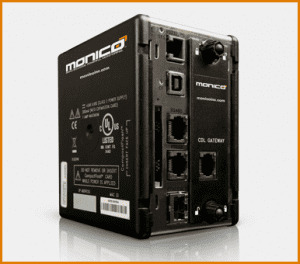 II is a previous generation, and requires a Monico gateway for integration. 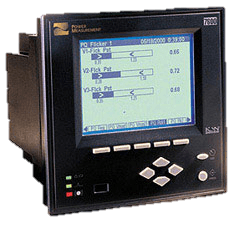 Primary applications of the EMCP II include emergency power supply system SCADA, and NFPA remote annunciation. Affinity Energy has experience with all three of Caterpillar’s Electronic Modular Control Panel (EMCP) generations, including II, 3.x, and 4.x. 4 is the current generation, and can be integrated using a Modbus protocol. Primary applications of the EMCP 4.X include emergency power supply system SCADA, and NFPA remote annunciation. Affinity Energy has experience with all three of Caterpillar’s Electronic Modular Control Panel (EMCP) generations, including II, 3.x, and 4.x. 3 is a previous generation, and can be integrated using a Modbus protocol. Primary applications of the EMCP 3.X include emergency power supply system SCADA, and NFPA remote annunciation. ELO has been one of the market leaders in terms of touchscreen monitors and large format interactive displays. 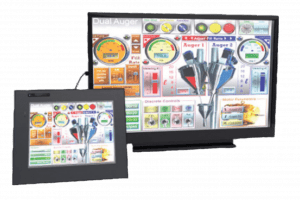 Affinity Energy has used ELO touchscreens as part of our electrical switchgear HMI solutions as well as large format alarm displays for multi generator NFPA 110 compliance. 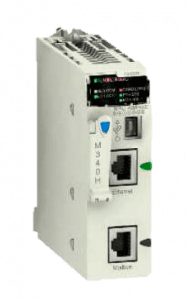 The EGX-100 is a Modbus TCP to Modbus RTU gateway that works well with all the Schneider Electric equipment. 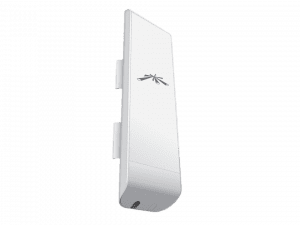 It is one of the few gateways that supports power over Ethernet, which especially valuable if you don’t want to worry about a local power supply. Another reason to consider the EGX-100 is that it supports some of the older Square D legacy devices, such as the CM2000. 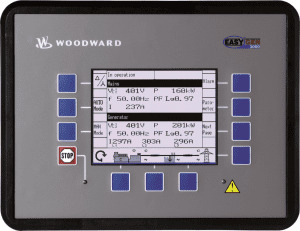 The easYgen 3000 series is a genset controller manufactured by Woodward. It is commonly found in both single engine and smaller multiple engine emergency power supply systems. Affinity Energy has developed Modbus templates for integrating the 3000-series controller into several SCADA systems. 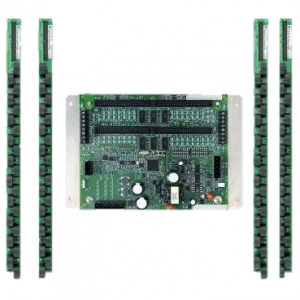 The E3X E (Ethernet) is a high-density branch circuit metering system ideal for submetering electrical panel boards. 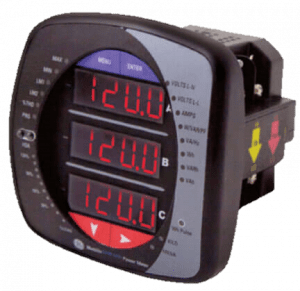 The most common applications we see these meters are in co-location data centers where the owner needs to understand how much power and energy goes to each rack and its associated tenant. Other applications include tenant billing within commercial buildings or cost allocation at schools. 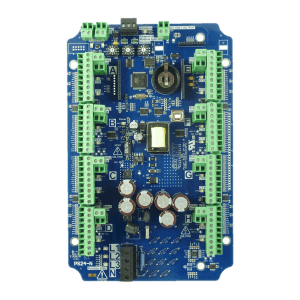 The E3X supports Modbus, BACnet, and SNMP and has the ability to measure up to 84 circuits, which allows two full panels to be completely submetered. The E3X is a high-density branch circuit metering system ideal for submetering electrical panel boards. The most common applications we see these meters are in co-location data centers where the owner needs to understand how much power and energy goes to each rack and its associated tenant. Other applications include tenant billing within commercial buildings or cost allocation at schools. The E3X supports Modbus and has the ability to measure up to 84 circuits, which allows two full panels to be completely submetered. Draker is a monitoring system targeted at solar sites with less than 5MW. In Affinity Energy’s opinion, it’s not particularly good at doing plant control because it doesn’t have a controller in the system. Plant control would be considered an add-on to the system. A modestly low-cost solution, it has a cloud app for monitoring data. It is comparable to Locus Energy, Meteocontrols, and AlsoEnergy. The base model Do-more is just about the lowest price you can get for this tier of PLC. Unlike many PLCs, the software required to program the hardware is free! The Do-more line is quite versatile. Many different modules are easily assembled in the PLC rack, such as analog and digital I/O, RTD, and networking modules. 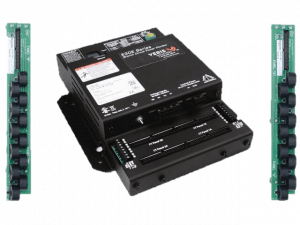 Anyone with a workable knowledge of PLCs and ladder logic programming should be able to support a Do-more PLC, and because the programming software is free and applications non-proprietary, applications can be easily modified by the end user with little to no training. If you do have a question, Automation Direct is known for its implementation customer support. In fact, 95% of their customers say their phone support exceeds other vendors’ support. The Dent PowerScout 24 has indicators and diagnostics for an easy installation. In fact, any electrician should be able to install it. They should receive indication that it’s installed correctly without even utilizing the software. Another reason it is installation friendly (and safer) is that it uses millivolt current transformers. A multi-circuit submeter like the Dent PowerScout 24 uses one submeter CPU/circuit board to measure multiple loads. It has only one set of inputs for a common voltage source, and multiple sets of current inputs for loads that share the common voltage source. The Dent PowerScout 24 can measure up to eight three-phase loads. Unlike other meter manufacturers, Dent Instruments sells you the complete solution. 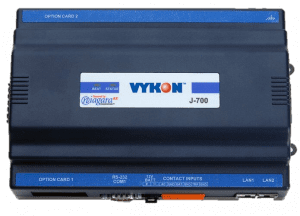 Not only do they provide configuration software for free, they also have a full range of current transformers available for purchase from 5A to 5,000A. Whatever type of situation you need the meter to work in, they’ve got a CT that will match it. A fully provisioned Dent PowerScout 24 will have approximately 66% lower hardware costs when compared to individual meters. Taking in to account labor savings, the total costs savings can be as much as 80-90%. 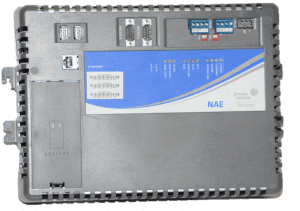 The DSE 8710 is a synchronizing and load sharing control module that Affinity Energy has integrated in emergency generator applications for healthcare. The module can be synchronized with up to 32 generators and provides multi-set control. 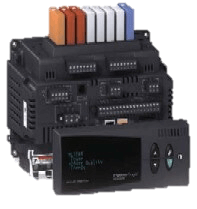 It provides a Modbus RTU or TCP interface for integration to SCADA systems, or local HMIs. You are in a mission critical environment where malfunctions cause extreme danger or profit loss. High maintainability is a must. Your application has between 50 and 250 I/O. 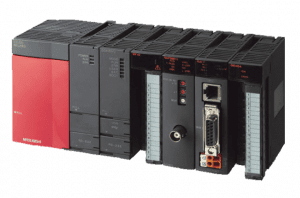 Adding more I/O to your process through either add on Modules attached to the chassis, or as remote I/O on the plant control network, virtually any type or combination can be added to expand the system. Unlike many PLC vendors, Allen Bradley has field technicians available to perform emergency repair or replacement with most components. Though a relatively expensive path to repair, the cost of downtime may justify a rapid response. By ensuring your components are on their ‘preferred availability’ list, you can be assured spare parts could be onsite the following day. You need a processor to operate a section of your plant, or group of machines, and you’re looking for a smaller supervisory control processor than ControlLogix. CompactLogix is a better choice when controlling a work cell, or small section of a plant. CompactLogix is great at controlling a few machines, when coordination between machines is required. For example, in an area with four compressors a CompactLogix will decide how many need to run and at what output pressure to maximize efficiency. 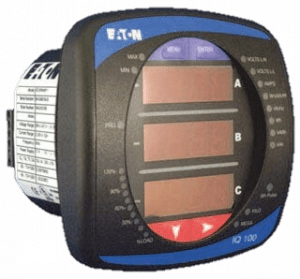 A CM 4000 is a popular power quality meter found on the main circuit breaker of a lot of industrial switchgear. Today’s equivalent of the CM4000 is the ION7550 or ION7650. The CM2000 is two generations old. We see a lot of these meters in older switchgear installed in the 80’s and 90’s. It was one of the first digital power quality meters on the marketplace. The CM2000 was replaced with the CM4000, which has since been replaced with the ION 7550 and ION 7650. For anyone out there who feels strongly that they want to integrate their CM2000 rather than replace it, it can be done with an EGX-100. A Campbell Scientific weather station can support virtually every meteorological instrument one could ask for at a PV solar farm (wind, rain, temperature, relative humidity, atmospheric pressure, etc.) 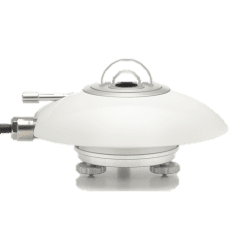 Whether you want a cup anemometer or ultrasonic anemometer, you can easily pick and choose instruments you need for a particular project. They even have instruments as obscure as leaf wetness sensors that detect condensation on the back of a solar module. You want low power usage. 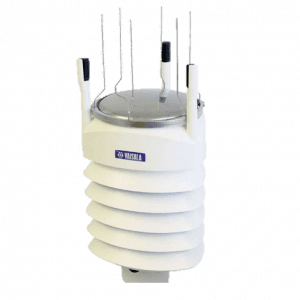 Unlike most meteorological stations, a Campbell Scientific weather station runs on relatively low power, even when installed with multiple instruments. 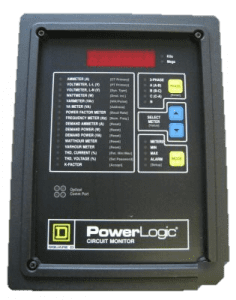 With a small battery backup, the data logger can continue to collect data during outages, and their battery charger supports input from a solar panel, enabling virtually perpetual operation without available local power. You’re looking for logging redundancy. With up to 16GB of compact flash memory, the Campbell Scientific data logger will continue to collect data, even if disconnected during network outages. For a typical site, that would be enough storage to log 1 second data from all met station instruments for the entire life of the site. Logic can easily be configured into the Campbell Scientific data collection algorithm. For example, if the 24VDC power source were to shut off, it can be configured to turn off the heaters and ventilators at the pyranometers to conserve battery life. The programming aspect adds a small level of complexity, but provides tremendous flexibility in where and when you want logging to happen. You have multiple communications methods. Not only does the Campbell Scientific data logger talk Modbus TCP and Modbus serial, it can also transmit in DNP3. This allows the utility to collect timestamped data from the data logger and collect weather station data without going through intermediate points. It can also periodically FTP logged data to an external storage location to ‘push’ backups of data offsite. The price for a base model C-more HMI is just about the lowest price for this tier of HMI. Because of streamlined sets of graphic objects and simple infrastructure, the cost for system integration is also relatively low. What if you don’t want the hassle of contracting with a systems integrator to make minor changes? Anyone with a workable knowledge of HMIs should be able to support a C-more HMI. Instead of spending time programming, end-users can easily configure changes by selecting different objects in a pre-existing library of graphic images and symbols. By the simplicity and intuitive nature of the software, it is quite easily modified by the end user with little to no training or further expense. If you do have a question, Automation Direct is known for its implementation customer support. In fact, 95% of their customers say their phone support exceeds other vendors’ support. The Schneider Electric BCPM E (Ethernet) is a high-density branch circuit metering system ideal for submetering electrical panel boards. 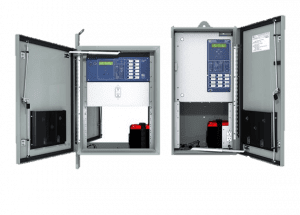 The most common applications we see these meters are in co-location data centers where the owner needs to understand how much power and energy goes to each rack and its associated tenant. Other applications include tenant billing within commercial buildings or cost allocation at schools. 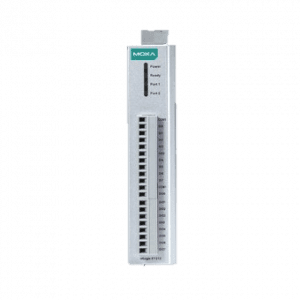 The BCPM E supports Modbus, BACnet, and SNMP and has the ability to measure up to 84 circuits, which allows two full panels to be completely submetered. 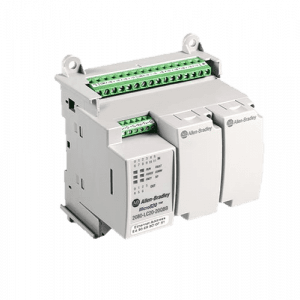 The Schneider Electric BCPM A/B/C is a high-density branch circuit metering system ideal for submetering electrical panel boards. The most common applications we see these meters are in co-location data centers where the owner needs to understand how much power and energy goes to each rack and its associated tenant. Other applications include tenant billing within commercial buildings or cost allocation at schools. This advanced genset control system can be easily integrated using Modbus RTU. 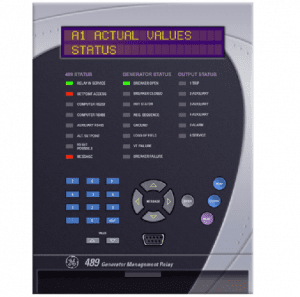 Affinity Energy has integrated this emergency generator controller in healthcare applications to bring NFPA 110 alarms to remote annunciator panels to comply with Joint Commission and CMS Centers for Medicare and Medicaid Services requirements. These transfer switches are commonly used in hospital and data center applications. 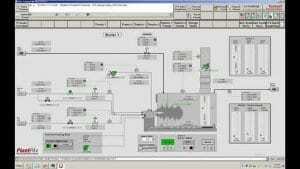 They provide Modbus TCP communications to allow integration to SCADA. Affinity Energy is able to integrate switch position, generator start signal, and load submetering for mission critical equipment. Affinity Energy engineers have installed nearly 100 AlsoEnergy solar monitoring systems. 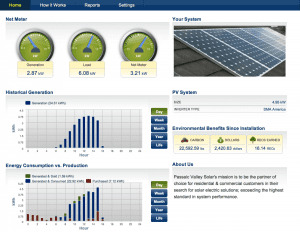 AlsoEnergy is a cloud-based app for monitoring solar sites. It’s most commonly used with smaller independent power producers. It has a lot of standard monitoring features that those customers need. The list of devices it has in its library is extensive. It knows how to talk to nearly all inverters, reclosers, transformer monitoring, trackers, etc.) To an unsophisticated user, the analytics are fantastic. However, the most significant limitation with AlsoEnergy is the fidelity of data (samples every 5 minutes.) Large utility-scale customers require 1 second data, which means AlsoEnergy is not a good fit for those types of customers. Want to reduce human error, simplify compliance reporting, and spot premature failure? Today’s healthcare facilities are looking for ways to reduce operation and maintenance costs. Some reduce staff. Others cross-train between facilities. Automation is an underused cost reduction option when it comes to documenting compliance testing and reporting. By automating, you free up valuable man-hours, mitigate risks, and increase reporting accuracy. One area where automation has the potential to significantly reduce costs is monthly emergency power supply system (EPSS) generator and ATS testing. Codes and standards by the National Fire Protection Agency (NFPA) require regular testing of healthcare EPSS, which includes tests on generators and ATSs at least 12 times per year. The benefits realized by automating some or all ongoing test procedures are quite significant. With the rise in complicated systems and fewer resources available to conduct tests, facility managers are looking to automation to solve some old testing problems. Today’s standard manual testing methodology, complete with stopwatches and clipboards, presents serious accuracy and timing challenges. Not only does automation reduce the clumsiness of current testing methods, it can also take advantage of real-life power conditions. For instance, if your facility undergoes a loss of power and the generator runs under load, the event may satisfy the monthly test requirement. However, you can only take advantage of this situation if your system is always watching the generator, and recording/evaluating events to determine if they satisfy NFPA test criteria. For owners concerned over autonomous testing, an automated system can still allow personnel to be involved. It allows them the freedom to use sight, sound, and even smell to detect potential problems related to the engine, generator, or fuel system. Through the data recorded by submeters, an automated generator testing system provides documented evidence of regular tests. Reports are automatically saved, emailed to appropriate personnel, and can also be brought up for inspection during an audit. The point of a generator test is to identify problems that could prevent a transfer to backup power. Automation systems can be used as diagnostic tools for increasing longevity and generator performance. They can help identify premature failure and potential maintenance that should occur on the generator ahead of scheduled maintenance. For example, you could utilize the sequence of events to detect an increase in the time from generator start to when the generator is ready to supply power to the load. Or, proactively monitor battery voltage and fuel tank levels, and alert maintenance personnel to potential malfunctions. Think automation of your generator tests might be a good solution for your facility? Here are three parts of the process you can automate to make your life a little easier. Trusting a computer to test a generator in a sensitive environment can be terrifying. Luckily, it’s simple to configure the control system to send a test confirmation to an operator in advance of the test. Before the system will initiate the test, the operator is required to acknowledge the request. Setting up a regularly occurring test schedule saves time and ensures tests occur within allotted NFPA-required intervals. In current methodology, operators must physically initiate tests. Because transfer switches are typically scattered across multiple electrical rooms within a hospital, this represents significant cost. An automated system allows centralized control of tests without visiting each switch. If the system detects a failed test, functionality can be added to automatically schedule or run another without waiting for the first to complete. 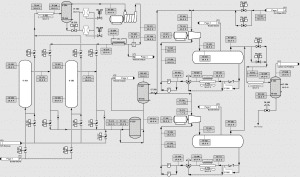 Manual NFPA requirement test verification is easily replaced by simple system configuration and analysis. This configuration is also intelligent enough to terminate a test if it won’t meet requirements by the test’s completion, reducing wasted generator runtime. Monthly reports outlining starting and ending times, generator loads, ATS transitions, nameplate percentage, etc. can be automatically generated for every ATS and generator for archiving, printing, and audit submission purposes. Most modern emergency power supply systems already have the ability to support automatic testing and recording. For older systems, an investment in wiring and potential hardware additions may be required to support remote initiation from a central location. 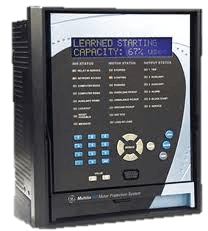 Automating generator testing is a simple way to increase the longevity and performance of your emergency power supply system, while helping you easily meet compliance requirements.